The 1961 Aladdin catalog reflects the trends of the early 1960s in this catalog. Most of the homes are "modern" and heavily influenced by the California ranch style. Carports and garages are often attached. Most plans are a single level, but designed with basements in mind. Practical as ever, these Aladdin homes reflect the optimism of the period without compromising the functionality or craftsmanship. Millions of this home style were built. The 1960s homes have a new cachet with the latest generation of home buyers who enjoy the retro, modern feel of many of these small homes now termed Atomic Ranch. to the left is the 1961 set of plans, below is the additions for 1962. 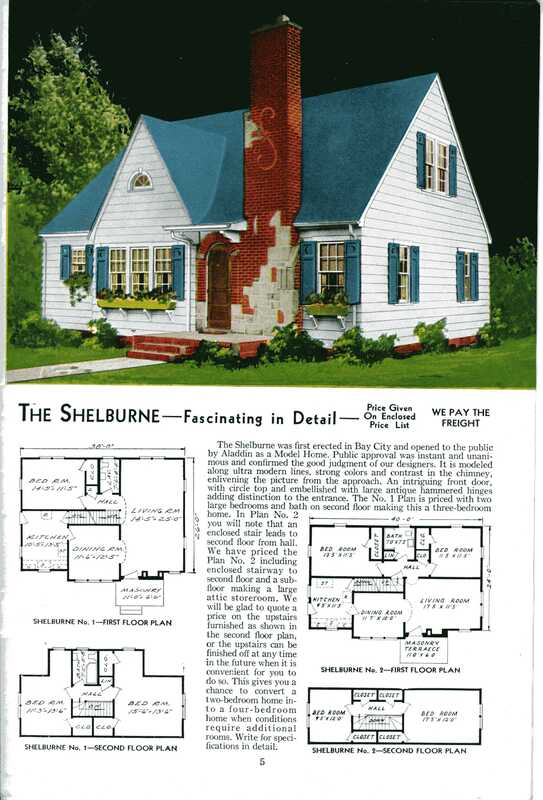 The slide show of the 1962 catalog shows the new and modern tri-level home, now known as the split level. Only six homes were added that year and five of them are split level style plans.